1.Â Clearly define the goals. If the purpose of a student survey is to identifyÂ school-wide patterns, that objective is very different than asking for feedback on individual teachers or courses. Some surveys can serve both purposes, but educators need to clearly describe the purpose of a survey to students and teachers, which includes addressing how the survey results will be used. In some schools, students may feel over-surveyed. Because online tools have made it easier to create surveys, schools and teachers are using them with greater regularity. For this reason, they can easily become “just another survey” if students don’t know precisely what the survey is for and how it will be used. Many educators overbuild surveys because they sincerely want to know what their students think and feel. But more information does not necessarily make the information more useful. Keep your questions focused on a handful of goals, and try to keep the survey experience brief so that students won’t lose interest. The best feedback is the feedback that school leaders and teachers can act on. 3.Â Ask students to speak from their experience, not evaluate teachers. In our schools, we have seen survey questions like this: “The instructor contributes to my learning,” with an accompanying Likert scale for different degrees of agreement or disagreement. While this is a pretty common question format, it has some flaws. Most importantly, the question is asking students to say whether or not the instructor is good at his or her job, which isn’t really what students are most qualified to comment on. When writing survey questions, it’s best to keep them focused on the learning experience, rather than evaluations of individuals. For example, “I like the ways we learn in this class” asks the student to think about his or her experience, not about the instructor’s capacity of efficacy. Digging further, a survey question that is more specific is even more helpful: “My teacher asks questions to make sure we’re following along.” This question not only asks students to speak from their experience, but also comment on a specific teaching practice, which provides clear, concrete feedback that the teacher can act upon. When you ask students to answer questions like these, which were developed by Ron Ferguson and used for the Measures of Effective Teaching Project, the results are more consistent, reliable, and helpful. At one school we worked with, when faculty members received their student feedback data, they started a wiki to share effective practices associated with each question. In other schools, teachers meet in professional learning groups to look at school-wide data. Instructional coaches in other schools are consulted for support. The common theme in all of these examples is that teachers used the student feedback in a collaborative fashionâ€”people were not left on their own to interpret and parse data. When asking for student feedback about teaching practice, it is imperative to dedicate time and support to group reflection. Using an easy data protocol, like these from the School Reform Initiative, is a great way to structure reflective conversations. Thank students for giving feedback. Share 1â€“3 things you’re going to work on as a result of the feedback. You don’t have to share anything more about the feedback. The point here is to focus the conversation. 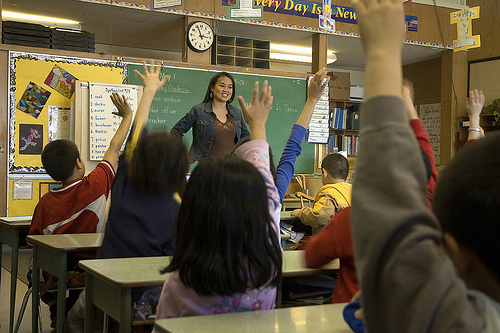 Ask students for suggestions about how to best work on those 1â€“3 things. Take suggestions for ten minutes, write them on the board, and let them know you’ll work with these suggestions and those from other classes to try some new things. 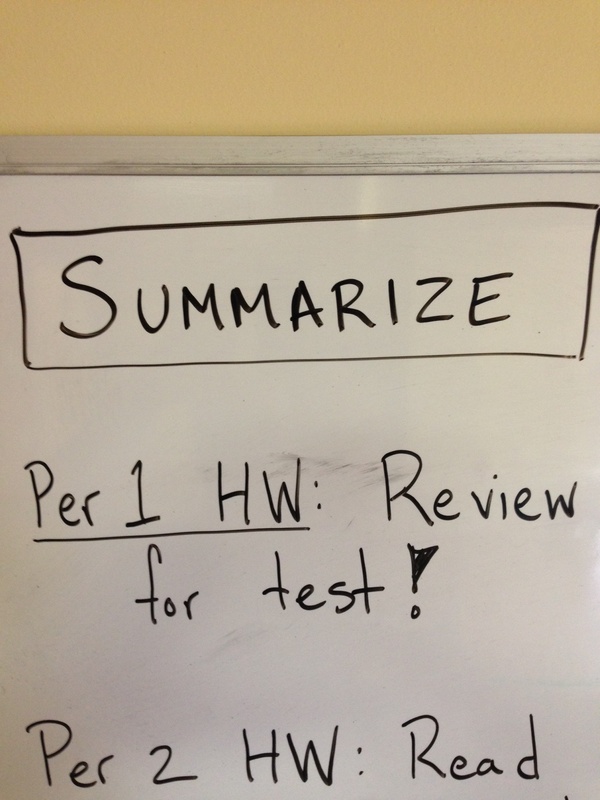 In one of our schools, I saw the word “summarize” in the corner of the whiteboard, near the homework assignments for a class. I asked the teacher about it and she said, “That’s one of the things I’m working on, based on student feedbackâ€”the idea of summarizing what we learned before class ends.” Twenty minutes later, she used an exit ticket to do just that. This example perfectly illustrates the kind of powerful instructional adjustments that result from using student feedback well. How have you used student feedback to improve your practice? Featured image is courtesy of audio-luci-store.itÂ and was retrieved from flickr creative commons.